Since years, ILA_5150 is collaborating with PIVTEC. 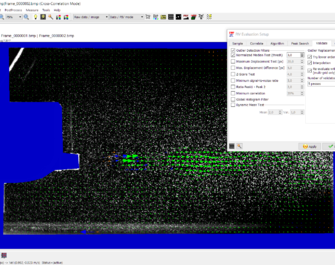 To be able to supply one of the best PIV post-processing software on the market, ILA_5150 and PIVTEC decided to merge their software development. 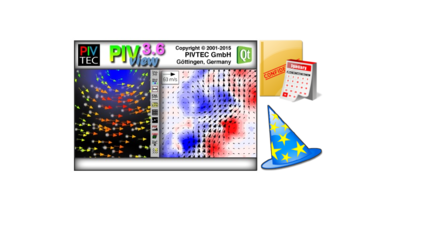 While the cross-correlation core of the very well known PIVview software is used to process the images (PIVview was top rated at the PIVNet challenge in 2005 and 2014), our Piv-Scheduler offers an advanced interface for an easy-to-use batch processing: PIVtecILA was born. We would (of course...) recommend using our adapted software package: Start with PIVview and use its powerful features to get the most of your gathered data. While the default values give you a solid first glimpse on what you can expect from your data, you can also finetune your results by adjusting every single option up to the point that it fits your specific needs. You don't like secret magic and black boxes? We don't like them at all! That's why so far, you have only created a config file for PIVview… and that one is plain ASCII. While the standard user won’t use this feature very often, the power user has every single option right at hand: Integrate it in your own script, manipulate variables, automate your post-processing… Do what you want, if you know what you’re doing. In most of the cases, parameters for data evaluation are quite similar for each individual plane or parameter in your experiment and only some variables have to be adjusted individually. This is where our PIV- Scheduler comes in handy: Typical tasks, such as masking, background generation, evaluation, file movement and macro launching can be arranged as individual jobs via an intuitive interface. Once your personal road-map is set, it’s time to fire up your cores… and this is where another strong feature kicks in: Depending on feasibility, the PIV-Scheduler parallelizes the task at hand and distributes the jobs to the available cores. While for standard university usage, a single machine with 8 cores offers a good cost-benefit ratio, we also offer Tailor-made integrated solutions with >100 cores for our power and industrial users. After processing the data, each individual velocity data sets is available in a structured grid ASCII (*.dat) TecPlot readable format and in NetCDF (*.nc). 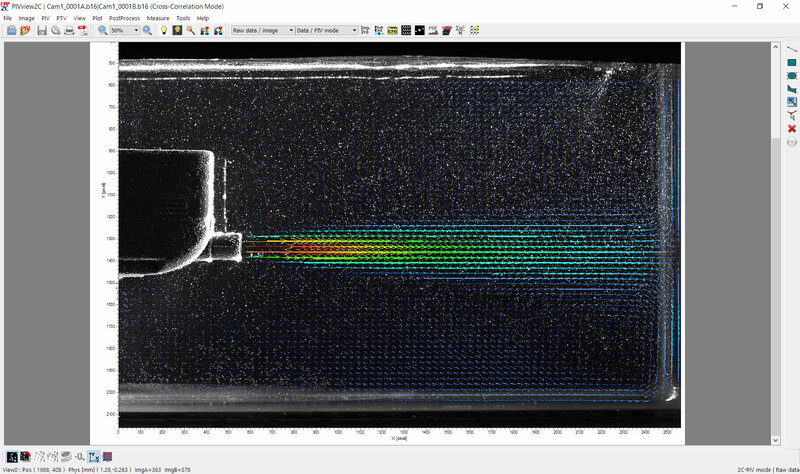 Additional user selectable parameters like vorticity, shear strain and many more can be generated during the evaluation procedure as well. Further processing can then either be done by common presentation software (e.g. 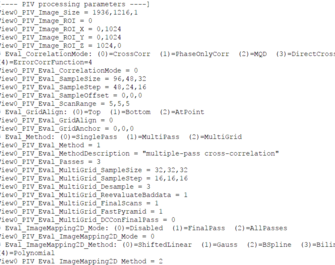 TecPlot, Ensight, ParaView, …), or even furthermore by an additional post-processing (Matlab, Python, ...).